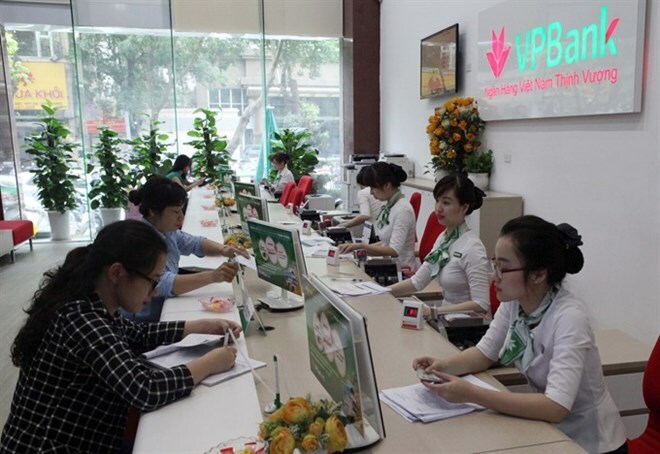 Hanoi (VNA) - The Vietnam Prosperity Joint Stock Commercial Bank (VPBank) started listing 1.3 billion shares on the Ho Chi Minh Stock Exchange on August 17, while having received 1.2 billion USD worth of purchasing offers from foreign investors. Both VPBank and Viet Capital Securities Company (VCSC) had approached more than 80 foreign investors, and most of the investors made pre-listing buying offers for the bank’s shares at the price of 39,000 VND (1.73 USD), according to To Hai, director of VCSC. Hai said at VPBank’s pre-listing seminar on August 15 that the value of foreign investors’ pre-listing purchasing offers might be a historical milestone for Vietnam’s banking sector, even in the golden age of commercial banks in 2007, and it would be hard to repeat a similar-valued deal in the future. “When we were building the book value for VPBank’s shares, we recognised that foreign investors were willing to pay even higher at 44,000 VND per share,” he said, referring to the fact that VPBank was quite attractive to foreign investors at the moment. The bank was valued at least 2 billion USD when valuation of the bank’s shares started in March 2016, Hai added. It was also the time when the benchmark VN Index on the HCM Stock Exchange was around 600 points. The bank is now valued at 2.3 billion USD on the starting trade price of 39,000 VND per share, making it one of the top 10 listed firms by market capitalisation. The share price of 39,000 VND was decided by the market demand, not by VPBank and VCSC, he said, adding that VPBank’s shares had more room to grow. According to Nguyen Duc Vinh, general director of VPBank, there were two reasons that made the bank’s board managers decide to put its shares on the stock exchange. Firstly, VPBank is in the final year of its five-year development stage from 2012 to 2017, and it has reached its pre-set targets. The bank’s profits have kept risen year on year with 2016 profit five-folding 2012 number. Its achievements have brought benefits to both shareholders and customers, raising its market status to one of the best-performing banks in the banking system. The management board has met to review its old business strategy and come up with a new one for the next three to five years. Secondly, the plan will help the bank develop its business on high-quality and specialised products and services, generating additional values for its employees, investors and the society. By listing its shares on the stock market, the bank hopes to draw more investment from those that have financial strength, professional knowledge and skills, and make great contribution to its development.